Trust me, I totally get it. Walking into a big store filled with randomly assorted used clothing can be a bit overwhelming. Most often, the hardest part about beginning anything is actually taking that first starting step. Well have no fear, here are my top 3 tips on becoming the confident thrifter that you've always wanted to be! 1. Specify what you’re looking for. Some people simply don’t have the patience to make their way through an entire thrift store when they're first beginning. Need some new jeans for fall, or want to add to your purse collection? Plan ahead and decide on two or three clothing categories that you’d like to focus on and just tackle those on your first run. 2. Keep an open mind. 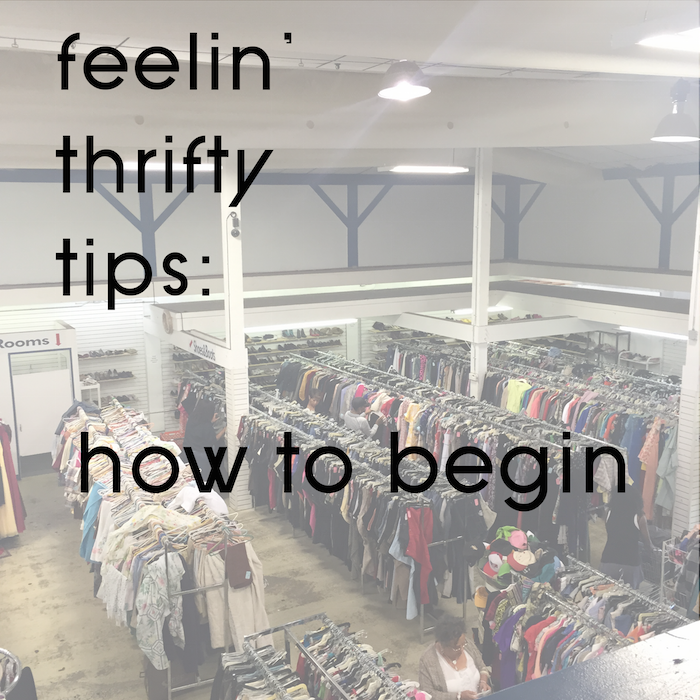 Thrifting is different and it’s definitely not for everyone…but it can become a hobby that you really enjoy if you just keep an open mind. Thrift stores will never look quite as fancy as retail stores but they have just as much potential inside. I like to think of thrifting as going on a treasure hunt, because you really have the opportunity to discover quite a few gems! 3. Walk in the door. Yes, it’s that simple. Find some free time and a local thrift store and just walk in! Once you get inside, you’ll realize that it’s not as intimidating as you once thought. Every clothing item section should be visibly labeled. So head on over to that jacket section and try a few on! Before you know it, you might just might have a thrifting addiction on your hands just like me!